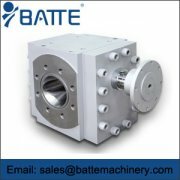 Batte is a professional manufacturer of standard series gear pumps and provides professional solutions for manufacturers. 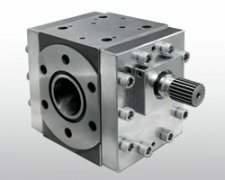 As a gear pump supplier, we are always working to serve the applications of high temperature and high viscosity, high temperature and low import and / or outlet pressure, which include corrosive or temperature sensitive materials. 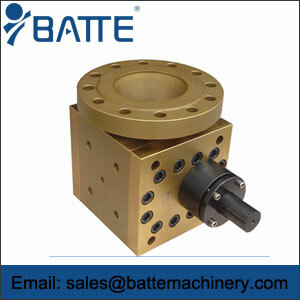 In addition to providing gear pump services and spare parts, batte can also provide maintenance and spare parts services for other brands of gear pumps. 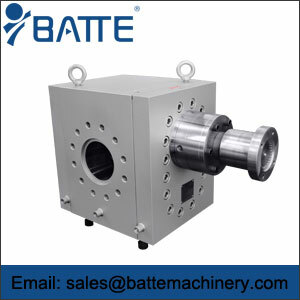 Batte perfectly meets the needs of customers, achieves the benefit of customer production process, the most common service life of pump body and the shortest downtime maintenance time of customer system. 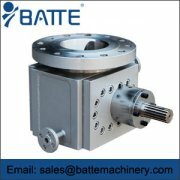 Batte gear pump is famous for its innovation and enjoys high reputation in the industry. 1. a unique temperature control method can be used to achieve precise closed loop control of temperature. The temperature of the rubber is strictly controlled within the set temperature range, and the coke burning can be prevented, and the low temperature extrusion can be realized. 2. through the unloading groove on the end cover of the gear, eliminate the bad influence of the "trapped oil" on the gear pump, improve the life of the gear pump and increase the stability of the rubber delivery. The 3. unit has ideal working characteristics, which ensures the linear relationship between the extrusion quantity and the speed of the gear pump. It can realize the precise control of the output and improve the dimensional precision of the product. With the information of pressure and temperature collected at the inlet and outlet of the gear pump, the equipment of the upper and lower reaches is synchronized with the gear pump to realize the whole process on-line monitoring and feedback control in the whole extrusion process. 4. the rubber melt gear pump is meshed with a pair of variable position helical gear, the gear and the shaft are one. The gear shaft adopts high wear-resistant material, the tooth surface is quenched by high frequency, the surface hardness reaches HRC58-62, the precision grade is 6HK. 5. the special structure can effectively prevent leakage of glue and realize self cleaning.